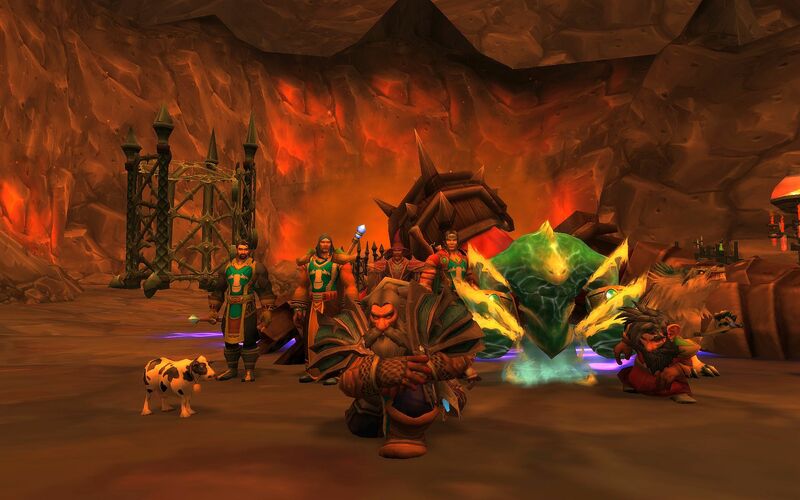 One of the most fascinating – and mind boggling – recentish developments in the Warcraft community is the Warcraft Secret Finding Discord. It’s a huge community of players who are dedicated to discovering and solving secrets that are hidden throughout the game world, and some of the things they’ve solved are incredible. At some point the Warcraft developers/designers started hiding things in the game for players to discover. I’m not exactly sure when that was, but it seems to have really ramped up during Legion. The secrets are often hidden deep within other secrets, with the ultimate solution leading to a reward like a mount or pet. Senior designer Jeremy Feasel aka Muffinus seems to be the main culprit, or at least the person who leaks small clues and teasers about what might be out there to find. Once the secret has been solved, the community share it so we can all benefit from the fun. Syp chronicled his adventures earning the Lucid Nightmare mount, and you can see from the steps involved just how complicated it must have been to work out. My favourite is probably the solution for the Sun Darter Hatchling. It’s hard to fathom how the community managed to work this one out, with the steps involving a baffling sequence of puzzle solving, potion guzzling, battle pets, and costumes. Given the popularity of the community and puzzles, it’s no surprise that BfA includes more – and more challenging – challenges. The current hot topic is trying to work out how to earn the elusive Hivemind mount. The first major discovery was the Baa’l battle pet, which has a staggeringly complex sequence to complete before you can claim it. Meanwhile Muffinus has claimed that the Hivemind was removed during the beta. Such is the game of cat and mouse with these secrets that no-one trusts that to necessarily be true – he does tease that ‘the secret hunt is far from over’ after all. It just occurred to me – I’m a bit slow – that of course the ultimate secret is called the Hivemind, as the only way these increasingly complicated mysteries can be solved is with exactly that – a community of likeminded, focused, and slightly insane explorers. One of the more interesting – and controversial – changes with the 8.0 BfA Warcraft patch has been the further introduction of level scaling. It was already around before the patch, but it now seems to be universal. Which has had a huge impact on the speed of levelling. For the longest time people have complained about out-levelling content so that they feel they can’t effectively finish storylines because the XP reward is basically zero. Not that that meant you couldn’t do the content, just that it felt like you were wasting time – it’s a strange mental trick. So Blizzard have introduced scaling across all continents and content, effectively splitting it into Vanilla / Burning Crusade + WotLK / Pandaria + Cataclysm / Warlords / Legion / BfA. You can now level in any zone within those brackets, and the mobs and rewards will scale accordingly. This is pretty great in many ways, as those that enjoy the storylines can experience the entire thing. You can jump to a zone you haven’t played and everything will be a gentle challenge and you’ll get gear upgrades as you travel. It’s a boon for the Alliance levelling we’re doing, making each zone relevant and interesting. The main disadvantage is all the old speed levelling techniques have dried up. I’m interested in levelling an Allied race – Highmountain Tauren, naturally – so started investigating how best to do it. The received wisdom seems to be that there are basically no shortcuts any more. The old favourite of chain running dungeons appears to be off the cards, as the time invested in the run is often better served just doing simple questing. When we started running the low level Alliance dungeons, I assumed everyone would be gaining two or three levels per run, meaning we’d have trouble completing them all. But the scaling has meant that people are lucky to level even once, and all the dungeons are available until level 60. Pretty great, and very clever. Some claim that carrying through dungeons with a high level friend (or second account) is still an option, running Stormwind Stockades from 1-60(! ), but that is terminally dull. 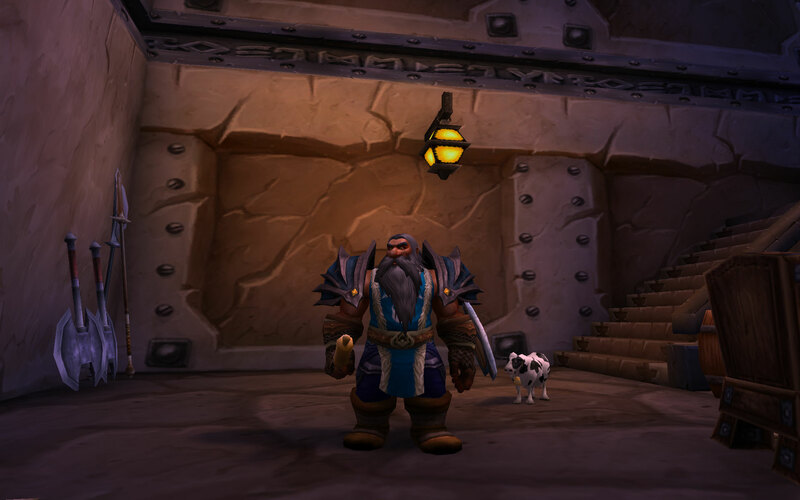 Some redditors seem to think that there’s a pet battle loophole, but that too sounds super dull. I want to level fastish, but I don’t want to just do the same thing over, and over, and over. So in the end, it seems that the simple act of gearing your character up with heirlooms, taking mining and herbing, and setting out into the world is the best method. Which is probably as it should be, and I’m merrily making my way through the Barrens once again as a result, and enjoying every moment. Soul of the Forest posted an interesting question: what class do you refuse to play? Their bette noir is melee DPS, which is a very reasonable position to take. Staying alive is the key difference in playing and contributing well and being a dead weight, and melee DPS is always bottom of the heal priority whilst being in the most danger of death. I stopped raiding on my Rogue because I used to die too much too easily, but I’ll still play melee DPS as long as I’m wearing plate or have some good self heals. Armagon and Endalia responded, with tanking being the main thing they avoid (largely due to the pressure from other players), and I’m sure there are more thoughts out there too. I’m quite happy playing tanks of all descriptions, and love playing a Hunter obviously. I haven’t played a lot of healers in an MMO, but in Overwatch I love playing Mercy. The class or role I just can’t bring myself to play is a caster. Something about using magic just doesn’t gel with me, and I can’t find a way to make it work. Despite casters being essentially a Hunter with lightning or flame instead of arrows and bullets, they don’t work for me. The same fear of magic applies in tabletop RPGs like DnD, some of which is down to the overwhelming spell tables, but it’s also just not a class I can roleplay at all. It somehow seems too passive, or that it’s not me doing the work, it’s the magic. So I guess my characters have to have some element of physicality to them, something with heft or guile or a pet and a bow. I’ll leave the weaving of magic to the experts. 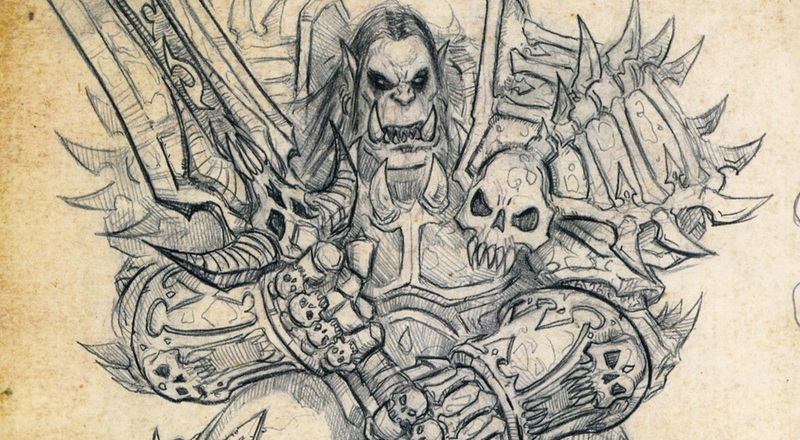 Blizzard Watch has posted about an interesting sounding project – a development diary about the very early days of the creation of WoW. It’s being written by John Staats, who was apparently one of the key designers of a slew of early dungeons and content, including Karazhan, Wailing Caverns, and much more. There’s a good extract of the book over on Wowhead that details some of the work on Scholomance. In the early days apparently it could take 6 hours(!) to finish a single run – and this is a 5 man dungeon, not a raid. The next morning, I went back to Jeff’s office, to tell him again about the length. Ever patient, he explained that it wasn’t simply a matter of removing spawns, there might be quests that depended a number of drops and removing monsters might unbalanced quests. It’s very much an insider account, and he’s not hiding the politics and tensions of working on a high pressure development, which is unusual for this kind of book. Apparently it’s a fully Blizzard approved project, so it must be (mostly) accurate. There’s a fair amount of ego on display in that Wowhead excerpt, but we can probably forgive that if the content is strong enough. There’s a Kickstarter to fund the book starting August 28 (which is now, here in Australia!). I’ll update this post with a real link once it’s live, in the meantime here’s a beta link to whet your appetite. Here’s the live Kickstarter – funded almost immediately. One of the questions I had when pondering the rare mob collection project was how to improve the quality of the screenshots – pictures or it didn’t happen, after all. I tried this and while the difference is noticeable if you look closely, it’s not as huge as you might expect. One byproduct is the filesize grows from about 500KB to 2MB, but with some judicious resizing the filesize gets more reasonable. So it seems changing the quality setting is not quite enough. Which means learning more about doing some post processing on them. There are some great photography-inspired tips in this excellent article on Blizzard Watch which seems a good place to start. Mailvaltar has an interesting post about why we sometimes prefer to watch rather than play a game. Having a love/hate relationship with Overwatch means that they prefer to watch the game instead of the stress of the pressure to perform when playing. I can totally understand that tension – Overwatch is a sure fire stress machine if you’re having a bad run. I watched some of the Overwatch League and enjoyed it, but I did find there was a fair bit of assumed knowledge and often not enough time to unravel what just happened. Often a critical play would happen off camera, just because the maps aren’t compressed into a single camera zone. And I’d pretty quickly start thinking I should be playing rather than watching. That’s not a feeling I get watching live sports, for example, because you can’t just stop watching and go play a quick game of rugby or basketball. With gaming you obviously can. The time investment required to watch something is probably where I balk, especially when compared to reading. A live of recorded video requires full attention and doesn’t allow much time shifting, or doing something else simultaneously. Whereas I love reading about games, especially on blogs where you get a personal take on something rather than the often banal professional feed. Mailvaltar’s example of TAGNs Eve posts is a great example – I don’t play, and likely never will, but still enjoy reading about it immensely. I’ll also check in on Polygon and Kotaku regularly for the industry side of things. And I very happily subscribed to the printed version of Edge magazine, which is a superb publication that has somehow managed to retain incredibly high production values in this age of the near death of the newsagent. For a long time I couldn’t quite come to terms with the fact that enjoying a game doesn’t necessarily require to actually play it. I feel the same way, though I still get itchy hands reading the great Blaugust blogs about SWtOR, GW2, DDO, LotRO, etc, let alone all the incoming games on the horizon. The good news is someone out there will write about it, and it will become their passion, and we’ll get the benefit of them sharing that passion, even if we can’t play them all. Thanks in advance! Speaking of oral histories, US Gamer has just published an epic ‘How World of Warcraft was made’ article that interviews many of the main players – current game director Ion Hazzikostas, principal artist Jimmy Lo, and technical director Patrick Dawson, as well as old hands like Rob Pardo and Greg ‘Ghostcrawler’ Street. It’s a huge effort by writer Mike Williams, covering everything from the genesis of the game through to the launch of BfA, and there’s a tonne of great quotes, detail, and concept art. 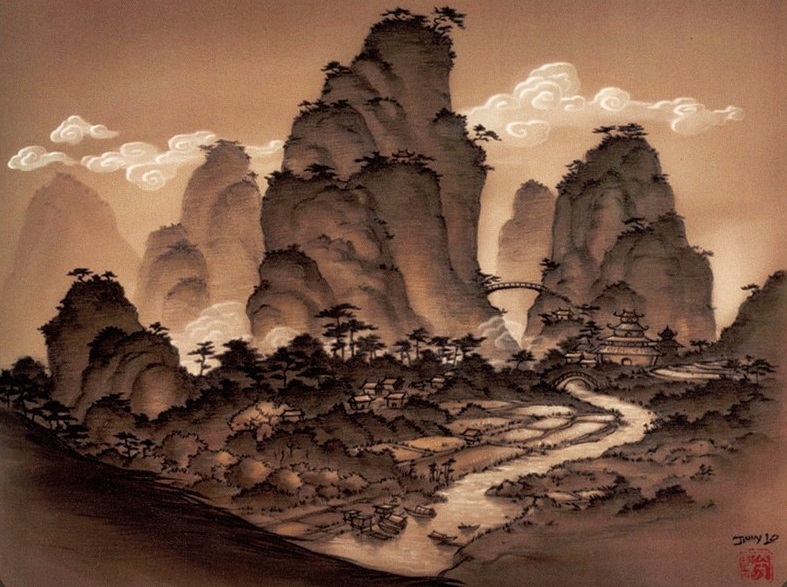 Pandaria ended up being a player favourite, but (probably due to development lead times) Blizzard responded by building the polar opposite in Warlords of Draenor – as the author puts it, “If Mists of Pandaria was a lighter Chinese opera, Warlords of Draenor was literally death metal.”. And we all know how that turned out. It’s a great article and a must read if you’re a fan of the game. I love reading ‘oral histories’ of things , where a reporter gathers recollections of events or cultural phenomena and weaves together a story that becomes more real than a single perspective or more formal analysis. They can be slightly contrived, but when they’re done well they’re hard to beat. A great example is this retelling of the filming of Predator, which is hilarious. Today I read a slightly more low key one about the making of Goldeneye, the classic Nintendo 64 game that (almost accidentally) reinvented – or more correctly invented – the multiplayer FPS on a console. Doak: The multiplayer mode, which is now seen as critical for its big success, was for a long time just a wish-list thing, not a thing that we were definitely going to have. The N64 had four controller ports so it invited the idea that you’d have four-player split screen, but we were only going to program a multiplayer mode if we had time. Doak: We inadvertently invited speedrunning from very early on, because we had the timed unlocks. Clark: Finishing the level faster than the target time unlocked a cheat. The harder the target time, the more awesome the cheat mode: Turbo mode, Bond invisible, invincibility, unlimited ammo — essentially keys to enter God Mode, a means to explore the game in unimaginable ways. Personally, the challenge itself got me addicted: It was a very dynamic game for speedrunning, and the target times were a clear invitation to prove yourself. Facility 00 Agent’s target of 2:05 was the legendary measuring stick. The elite.net, the home of GoldenEye speedrunning, has been tracking records since 1998. Remarkably, the game has more active speedrunners right now than at any point in the past. The speedrunning detail reminded me of an amazing video I stumbled across last year, which showed Australian (represent!) streamer Karl Jobst beating a 15 year old record as it happened. It takes 52 seconds and his reaction when he realises is incredible. From a completely relaxed start – and probably his billionth attempt so he’s not expecting anything – to an emotional wreck. Watching that led to a rabbit hole of trying to understand what I was watching. The aforementioned The Elite Rankings has a huge history of speedrun times, and such esoteric concepts as tied vs non-tied world records. From there I found a YouTuber RWhiteGoose who has a channel where he talks in great detail about the lore of Goldeneye speedrunning. Some of the epsiodes run for hours talking about a 60 second level, discussing the records and how they were achieved and then bettered. I was fascinated to see he’d posted an analysis of whether ‘Dam 52’ was even possible 10 months before Jobst proved that indeed it was. All of which led to one of the most entertaining gaming videos I’ve ever seen. I kept seeing references to Ryan Lockwood’s legendary run on ‘Streets 1:12’, and eventually found Goose’s 2h40m analysis of that run, including the full video and audio. 2 and a half hours on a 1:13 run might sound excessive – ok it is excessive – but sit back, skip to 1:37:15, and enjoy. Language warning! Tonight’s Alliance guild expedition took us to the centre of Horde territory, into the catacombs below Orgrimmar: Ragefire Chasm. Ragefire Chasm extends deep below the city of Orgrimmar. Barbaric troggs and devious Searing Blade cultists once plagued the volcanic caves, but now a new threat has emerged: Dark Shaman. 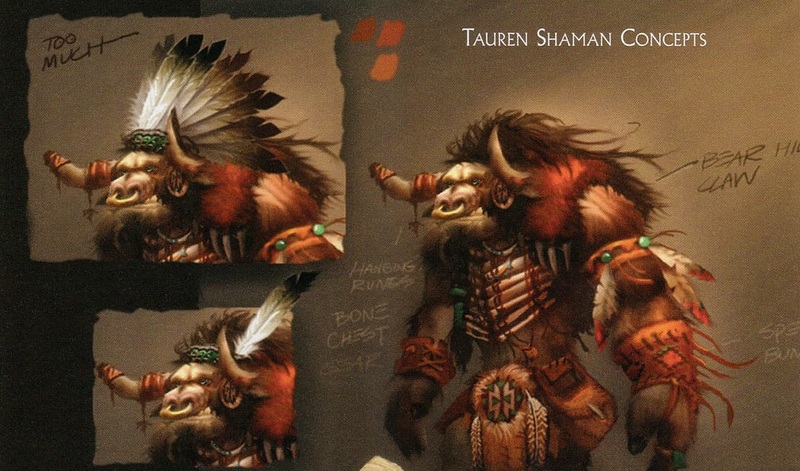 Although Warchief Garrosh Hellscream recently called on a number of shaman to use the elements as weapons against the Alliance, the chasm’s current inhabitants appear to be renegades. Reports have surfaced that these shadowy figures are amassing a blistering army that could wreak havoc if unleashed upon Orgrimmar. From an Alliance perspective that last report doesn’t sound entirely bad, but then unleashing uncontrolled shamanic magic is probably bad idea, so in we went to clean up the mess the Horde have made. One of these figures is much smaller than the others. 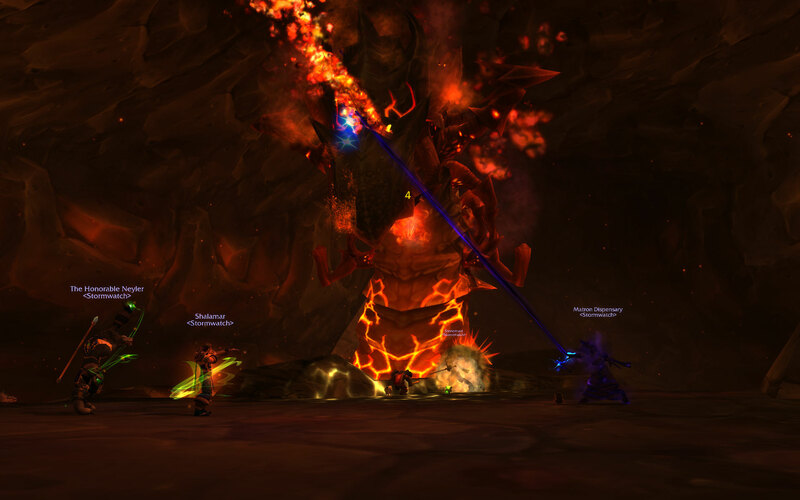 Compared to Deadmines, RFC is a quick and relatively unpopulated affair, with far fewer mobs and only tank & spank bosses – and the lava boss which I fell into fighting Slagmaw. Ahem. We made short work of everyone, rescued our trapped operatives, and cleared the dungeon to allow our investigators start unravelling what foul magic the Horde had managed to stir up and subsequently lose control of. 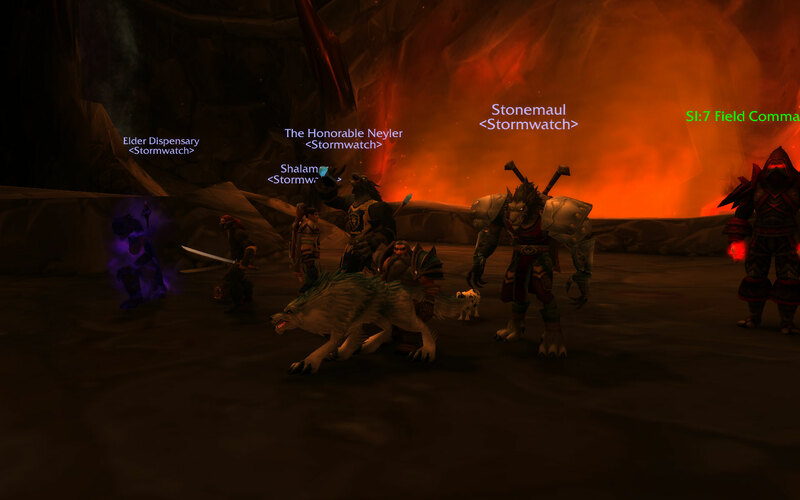 The Alliance continue to be upright and relatively dull – the Horde quests want you to basically just kill all of the things, the Alliance ones want to do some research – but we’re in this for the long haul and I’m warming to our Hordebreaking role. As we finished I copped some deserved ribbing for our guild tabard, which was dark red with a dark logo – my Horde bias clearly on show. So now we have a fetching new Alliance-blue number, with a clearly visible logo. Unless you’re a Dwarf. It’s been a while since I talked about Overwatch here, which is largely down to not having a PC for 6 months to play it on. Having a large gap like that in a game like Overwatch is quite challenging, as it’s the type of game where your reflex, reaction, and map awareness skills can drop off quite quickly. And it’s especially hard to come back and adjust to the new heroes, changed loadouts, nerfs, buffs, and the ever present meta. This POTG was back in the good old 5 rez days. Hard to earn one now as Mercy. 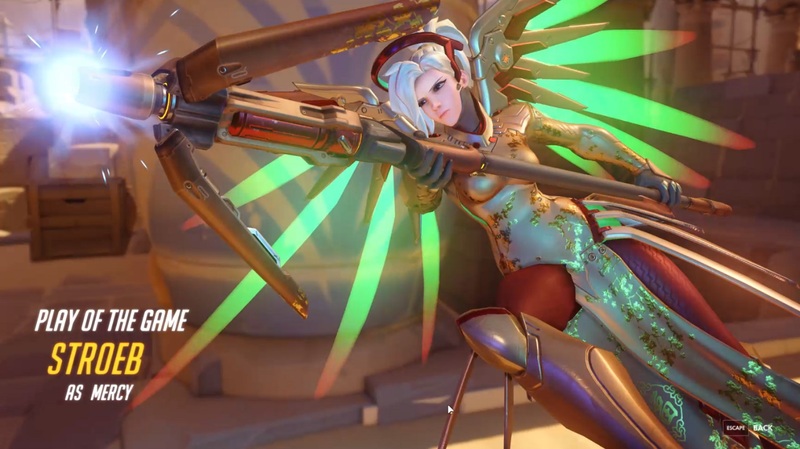 While I was gone Mercy, one of my favourites to play, was further nerfed so that her rez and ultimates were far less effective. Having to stand stock still while you rez someone is no fun in a shooter that’s for certain – anything that makes you stop changes the flow and feel considerably. And this was from the carwash days. Good times. 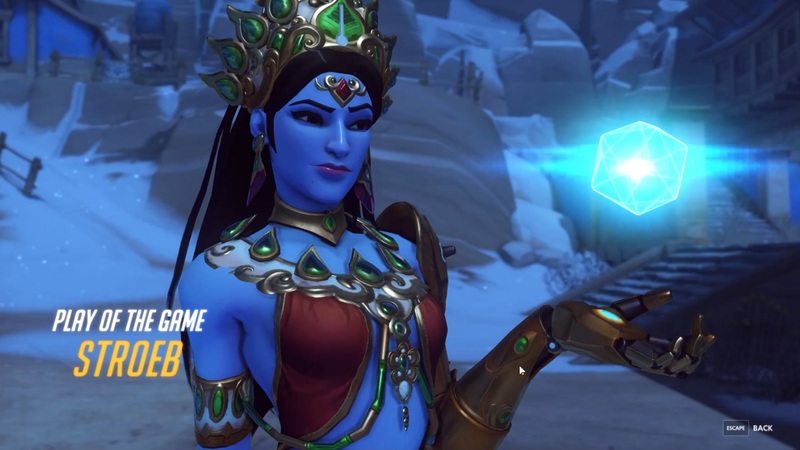 And Symmetra, another fave, was completely reworked so that she’s barely recognisable. Her ult has been replaced by a massive zone blocking wall, which may be tactically useful but isn’t as strategic and fun as the old choice between a defensive shield generator and a teleporter. Plus, no carwash! I can kind of fumble my around with her, but it really is like learning a brand new hero. Then there’s the new heroes like Brigitte – a kind of tank/heal hybrid by the looks – who I’m very interested in, and Wrecking Ball who seems a bit too chaotic for my style of play. With both it’s hard to start playing them once everyone else has already got to grips with how they are most effective – though in Quick Play it’s not that important if you struggle a little for a while. 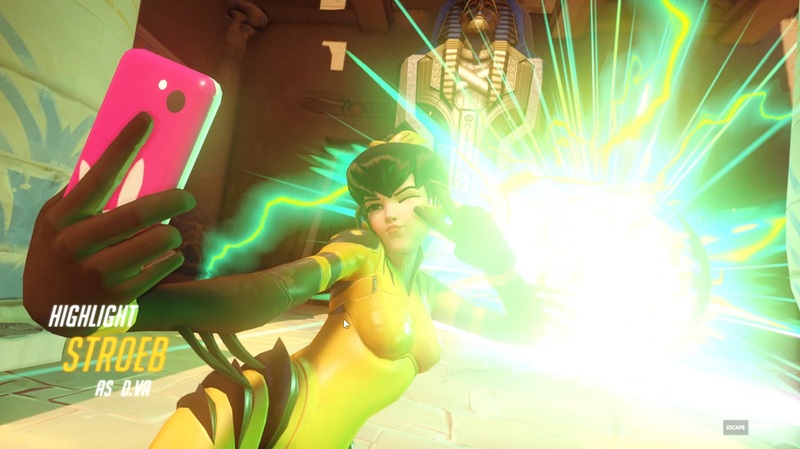 Activating self destruct sequence – best ult or best ult? If all that sounds a bit negative, the good news is there’s still D.va to have a riot with. She’s still great, fully mobile, fully over-the-top, and fully fun. And as of about 30 minutes ago, she’s also the star of her very own animated short. It’s a funny game because you can go on horrendous losing and triumphant winning streaks, often based very much on how in the zone you get – and how lucky you get with random teammates. It can also leave you feeling furious when you’re not playing well – my trusted tactic with that is to always quit playing after a win. Game on!